As we continue to make the Pittsburgh Diamond Dawgs Western Pennsylvania's Premiere travel Baseball Organization, we've put together a very comprehensive program designed to help athletes get stronger, fastest and become more explosive. Also included in this program will be an arm strengthening and an arm care segment. The program will be under the direction of the Pittsburgh Diamond Dawgs certified strength and speed coach Chip Hunter. Joining Hunter will be California University of Pennsylvania pitcher Anthony Winkler. The Summer Academy will give athletes the opportunity to continue their overall development and continue on the path to be the best player that each of them can be. Each daily session will consist of Fielding, Hitting, Speed and Explosive Power segment and an Arm Strengthening/Arm Care stations designed to increase arm strength and promote arm care techniques. The fielding segment will focus on developing proper position specific movements including extensive focus on hands and footwork. The hitting segment will focus on developing/improving approach to hitting as well as hitting mechanics. This program is designed to make our players faster, more explosive, increase arm strength, increase core strength, and overall functioning strength. Players will train their bodies to be strong at various angles and planes. 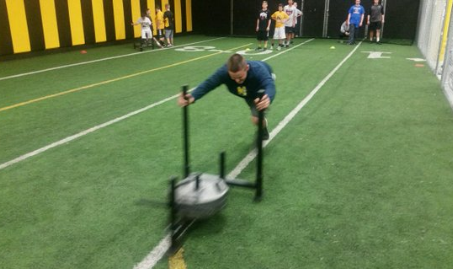 Speed agility and quickness are all major components in athletic development. SAQ training plays an important role in motor coordination, acceleration, balance and reaction time.The detailed program produces measurable results by increasing overall core strength and isolating the fast twitch muscle fibers. The program will focus on proper mechanics , explosive exercises and flexibility. the program will be broken down into 2 focus area, speed and strength. "Home of the PITTSBURGH DIAMOND DAWGS"
©Pittsburgh Diamond Dawgs Baseball 2018, All Rights Reserved.